This is an excellent opportunity to ask questions about our State Government and how we can better serve our community! The Toluca Lake Chamber loses one of its own; Toluca Lake loses an icon. The Toluca Lake Chamber of Commerce wishes to extend its deepest condolences to Edie Chortkoff and the rest of the Chortkoff family for the passing of Milt Chortkoff. 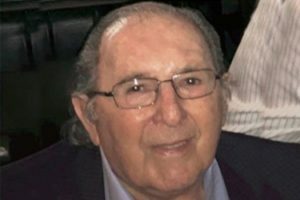 On December 28, 2017, at the age of 88 years young, the beloved Toluca Lake husband, father, and businessman passed away after a long and illustrious life.